What Type of Audit is it? In general, there are three types of audits that taxpayers undergo. The first, and by far the most common, is the correspondence audit. This audit is when the IRS has noticed something in your return that it wants clarification on. This can be solved by sending in the required receipts or proof of whatever the IRS is seeking. Once that’s done, the audit is resolved, and the bear goes away. The second type of audit that can happen is an office audit. This is where the IRS asks you to bring in documentation to their local IRS office. This one can be a little more stressful, but as long as you have kept the proper receipts for your deductions you’ll be fine. The last type of audit that normally occurs is a field audit. This is where the IRS finds something serious enough to come to you. They will visit and ask to view whatever records you have on hand. You can request that a field audit be changed to an office audit, but this is rarely done. There is one more type of audit that is rarely done, and that is a full line by line audit called a Taxpayer Compliance Measurement Program Audit (TCMP). This is an audit that looks at every part of your tax return and every part requires some sort of documentation. That includes needing marriage documents and a birth certificate in addition to the normal receipts. If there’s one thing you don’t want to do when you have a face-to-face audit with the IRS, it’s to go alone. Having a professional there to advise you and speak for you is not an admission that you’ve done anything wrong; it’s just common sense. A professional is going to be more conversant with the law and tax code than you are. That is after all, their job. But the question remains; who should you hire: a tax lawyer, or a CPA? In most cases, a CPA is your best choice, and here’s why. Typically, an audit is just a review of your tax return. Chances are, if you’ve received an audit notification, you didn’t file your taxes through a CPA. In this case, a CPA will be able to tell you exactly what you need based on the audit notification letter you received. This is because most audits are essentially inquiring about the accuracy of your tax return. The IRS needs the proof that the deductions that you claimed are valid, and a CPA can represent your interests there. A CPA will also be able to review your tax return to see what errors the IRS has seen and assist you in future filings to avoid another audit. If, however, you are being charged with a tax offense, then you should hire a tax attorney. That is because a tax attorney will offer you client-attorney privilege while you discuss the background behind the charges. 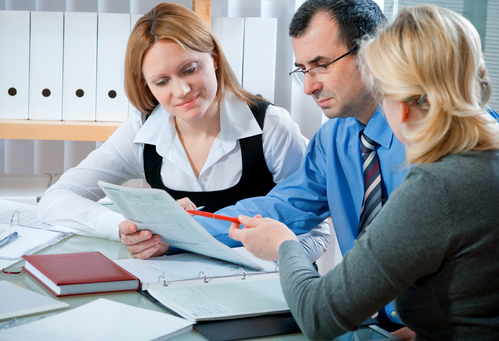 Your attorney can then hire a CPA to do financial investigations, which will preserve that confidentiality. If your attorney doesn’t do this, then the CPA is no longer bound by the privilege and can be forced to testify against you. So, the bottom line is this. If you are being audited simply as a review of deductions that you made or to verify capital gains or losses, then a CPA is your best choice. If you are being audited because of a criminal offense, such as tax evasion, then you should hire a tax attorney, who can then hire a CPA on your behalf. In the end, being audited doesn’t have to be the stuff that nightmares are made of. In most cases, a simple submission or presentation of the paperwork or receipts to prove the validity of your tax return is sufficient. A CPA will be able to speak to the auditor to explain the deductions on your behalf if there are any questions. With some professional assistance and a free couple of hours, you can put your audit behind you and have a story to tell your friends.